Video is big these days. 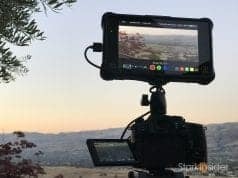 Sure, you can use your iPhone or Android to capture decent, to even very good, quality videos. But there are times you may want to stretch it further, and embrace your inner Hitchcock or Aronofsky or Coppola. 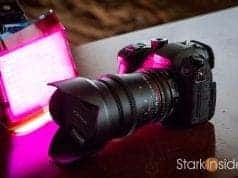 A DSLR (or mirrorless) is often the perfect camera in those situations when you want to use different focal lengths, experiment with depth of field, and develop the overall cinematic aesthetic of your compositions. But not break the bank. You can get a Canon EOS 80D body for $1,199 or pick up the kit which includes the new and absolutely superb 18-135m USM telephoto lens. Dual Pixel Auto-Focus – no one can touch Canon when it comes to its proprietary and exceptional technology known in short as DPAF. Touch a subject on the LCD, and the camera will track it automatically, even in the most difficult of situations. Many other cameras have better specs on paper compared to the 80D (4K, for example), however, what use is it if your images are not in focus? Beautiful, organic image – there’s just something about Canon’s color science. Expect gorgeous skin tones, soft roll-offs, and an overall very pleasing image to the eye. I’ve tried Sony. Panasonic. And others. 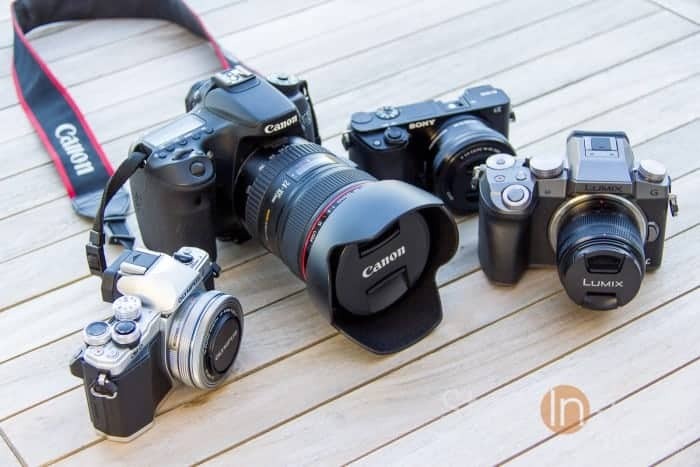 Some superb models on offer to be sure, but, to my eye at least, none can match the natural quality that the Canon sensor produces — the 80D excels in this area thanks to a new 24MP sensor. If you can’t stretch for the 80D, you may also want to consider the EOS 70D. My Canon EOS 70D rigged up for run-and-gun video shooting. Still a fantastic camera. Yes, the 70D shoots “only” 1080p HD, however, if you’re like me and deliver to the web (Vimeo, YouTube, Facebook, etc.) 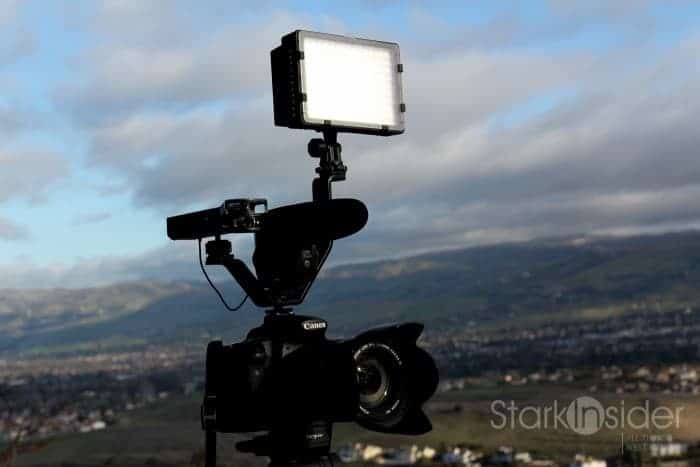 it will be absolutely fine — plus, don’t let 4K fool you as a measure for the quality of a camera and sensor… you can buy dirt cheap Chinese knock-offs with “4K” but that doesn’t mean the image is necessarily any good. The 70D still gives you that brilliant trick DPAF system, and the ergonomics, in addition to great battery life, and lens choice (thanks to the ubiquitous EF mount). You will give up some speed. Burst rates will be slightly less. The sensor is a few megapixels shy of the 80D. And because it uses a previous generation processor, some of the operations will be — again, slightly — slower. 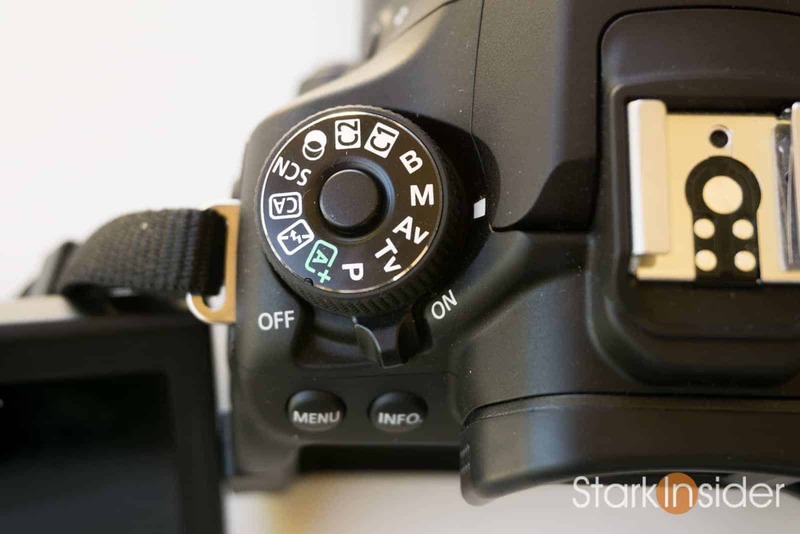 Nevertheless, the 70D is surely a “classic” in the history of Canon DSLR cameras. It’s a good time to be shopping for a camera that shoots quality video. Prices have come way down, while features and quality are at all-time highs. 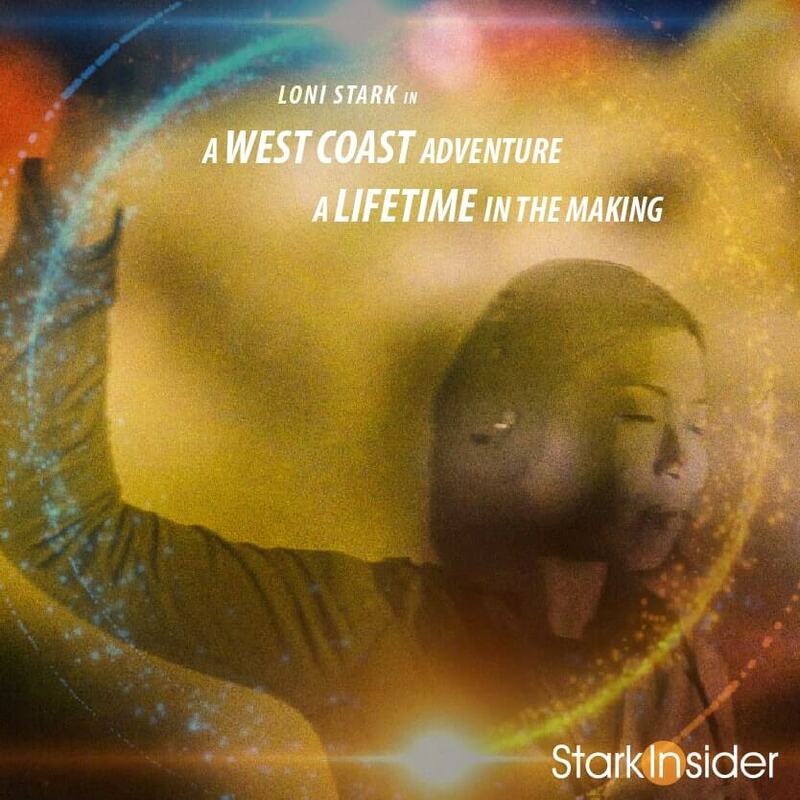 I’ve shot over 600 videos these last 10 years for Stark Insider using all manner of camera. 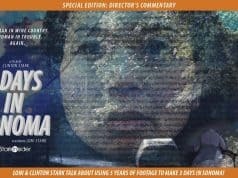 I mostly run-and-gun, shooting events, interviews, BTS, theater, film and music festivals. In those situations a Canon DSLR (or cinema camera like the C100) is peach perfect. However, the market is awash in quality gear. Here’s some of my other favorites. Sony a6000 ($698) / Sony a6300 ($1,148) – I love the portability of this mirrorless. I have an a6000 and use it when I just want a tiny camera in my pocket to capture some nice stills (APS-C sensor) or grab some HD b-roll. The a6300 is out now and has 4K and other upgrades. Great camera. Only nit: the Sony e-mount doesn’t offer the greatest amount of lens selection. But a metabones EF adapter, though, and you can dip into Canon’s catalog of superb glass. Panasonic Lumix GH4. An internet favorite. 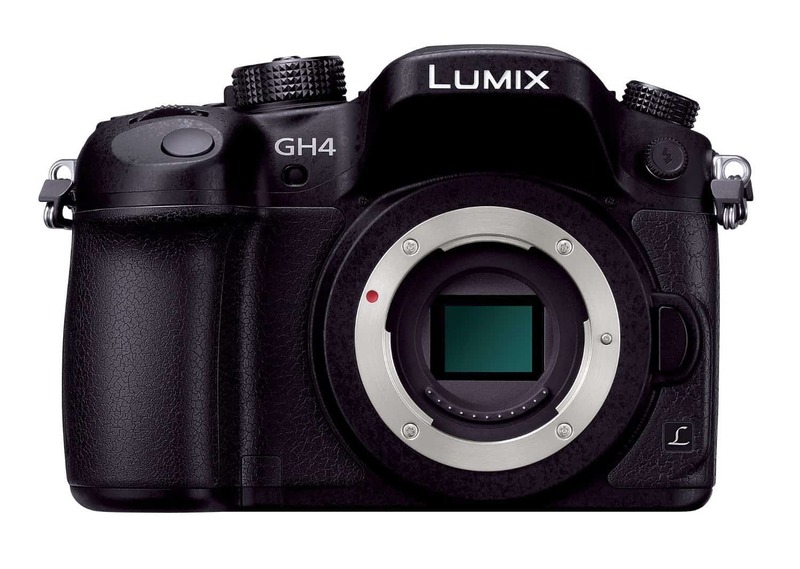 Panasonic Lumix GH4 ($1,049) – Darling of many indie filmmakers. Has many tools not found on the 80D such as a histogram, and focus peaking. Shoots 4K. Highly gradeable for those aspiring colorists. To me, the image looks on the digital side. Personal preference. Others rave about it. Still, hard to argue that you get a lot of technology for not much money. Definitely one to consider. 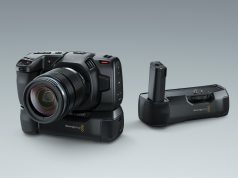 Blackmagic Pocket Cinema Camera ($995) – Blackmagic’s best. This is a tiny camera that looks like a point-and-shoot, but delivers gorgeous — stunning — images that will knock your socks off. Know the limitations though: poor battery life, tricky ergonomics, no ND filters, rolling shutter is not the best. That image though! Aspiring filmmakers, this is your modern-day Super 16. Canon C100 EOS Cinema Camera (starting at only $2,499… a steal!) – Definitely a jump in price point. The good news: Canon introduced the Mark II last year, and prices have dropped dramatically for the firstgen C100. You can get a Mark I for a mere $2,499. That’s amazing. This is a Super 35 camera that produces stellar images, and features outstanding ergonomics. Battery goes forever. Shoots to low-cost SD cards. Look for a discount or used model if you want to pinch a bit more. I use my Mark II all the time, and adore it. So much so that I sold my RED Raven. Your iPhone or Android ($0 in your hand!) – They say the best camera is the one in your hands. So you’re probably holding it this very second. There’s nothing stopping from using your phone to tell stories. At the end of the day a camera is just a tool. Everything else is far more important: lighting, composition, pacing, acting, costumes, soundtrack, editing, and, even food (well fed people tend be more energetic and creative on set!). So maybe you don’t need that fancy new camera; grab your phone, get out there, and shoot, shoot, shoot. 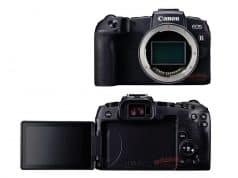 Canon EOS 80D body and strap. 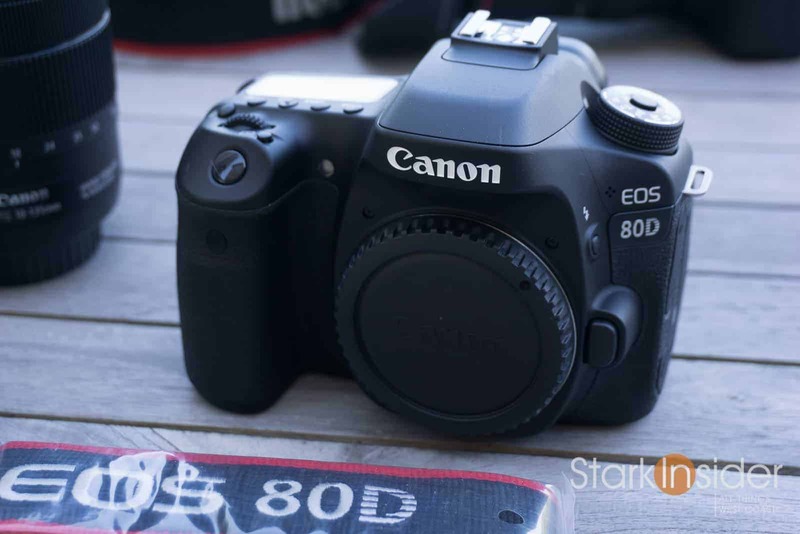 If you’re shopping for a mid-range DSLR, it’s hard to go wrong with the Canon EOS 80D. In my experience — based on shooting with an 80D for five months now — this DSLR offers everything Canon has learned about its market over the past few decades. It works every time. It’s easy to use. It goes forever on a battery. It produces a pleasing image. Specs are one thing, day-to-day use is another. Google around a bit, and you’ll discover that the 80D is getting generally favorable, even glowing reviews. DPreview, the gold standard of camera review sites, awarded the 80D a silver metal (84%), calling it “a solid choice for enthusiasts”. Which to Buy: Canon EOS 70D or new 80D? 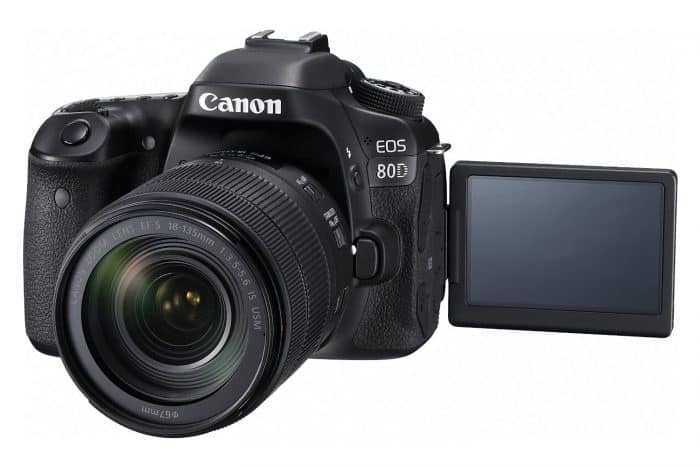 The 80D is a camera you can take with you to events, concerts, interviews. 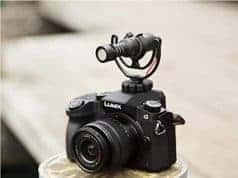 Or, you can rig it up (shotgun mic, a cage, LED lights, etc.) and shoot a short film, or documentary. I suspect you may appreciate it’s flexibility as much as I do. 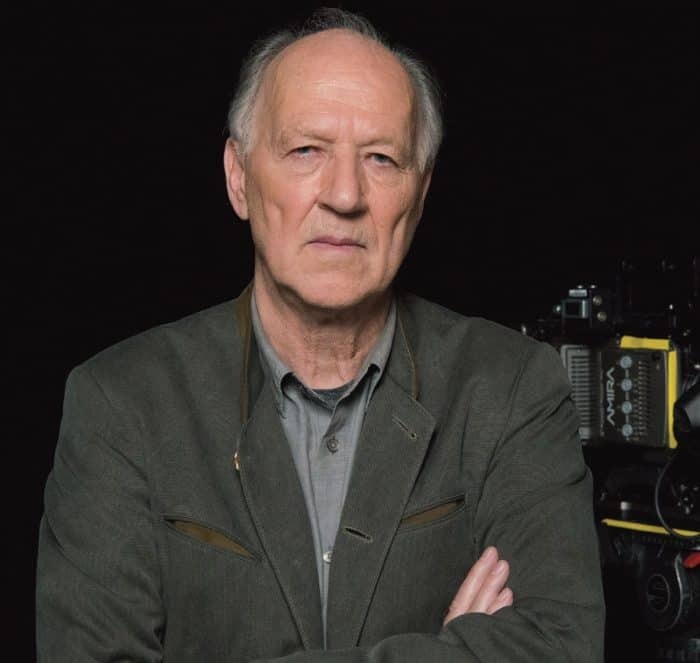 I recently took Werner Herzog’s online filmmaking school. It’s exceptional. At the very least, incredibly entertaining watching a famous director recount his works and how he approaches his craft. At it’s best the course was inspiring and illuminating. To create great videos and films, we need to read and to write… a lot. We need to surround ourselves with art — great paintings, great poetry, great music. Find your inner rage of language. And: capture the moment. To that end, careful you don’t pixel peep (at least too much). An utter waste of time. No one will ever care what camera you used (except perhaps camera operators). But they will remember if you made them smile, cry, laugh, or pound out a Tweet in anger. As a story-teller that –provoking reaction — should be your ultimate goal.